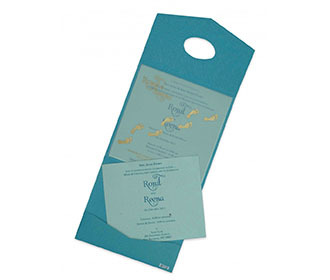 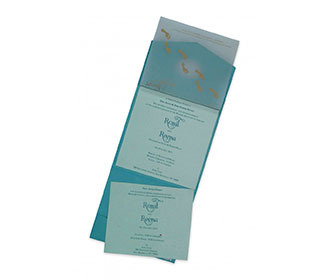 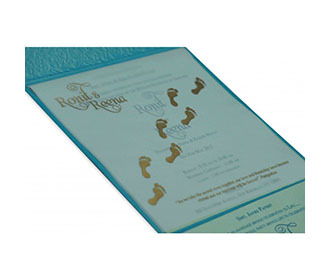 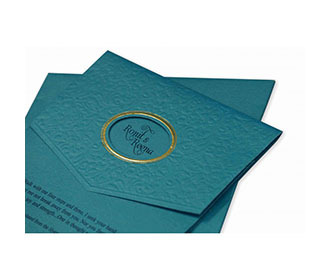 This is a simple and beautiful turquoise blue card and envelope. 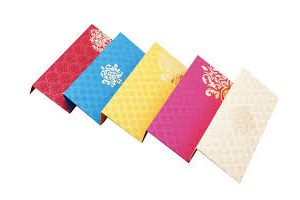 The card top has two flaps. 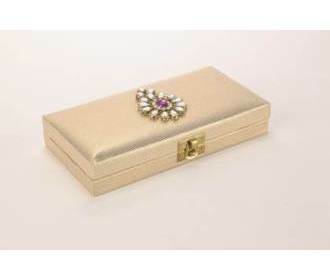 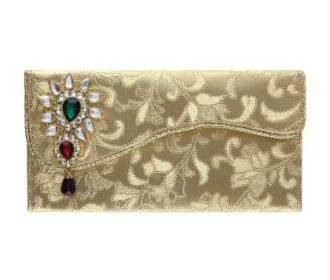 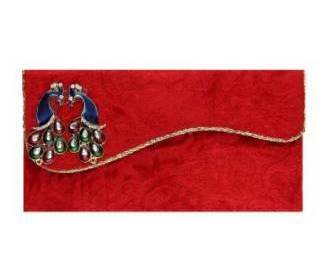 The top flap has an oval cut out with gold detailing. 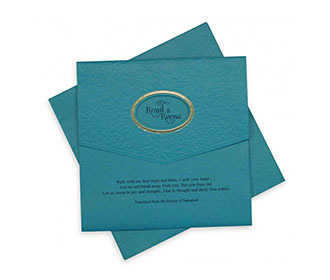 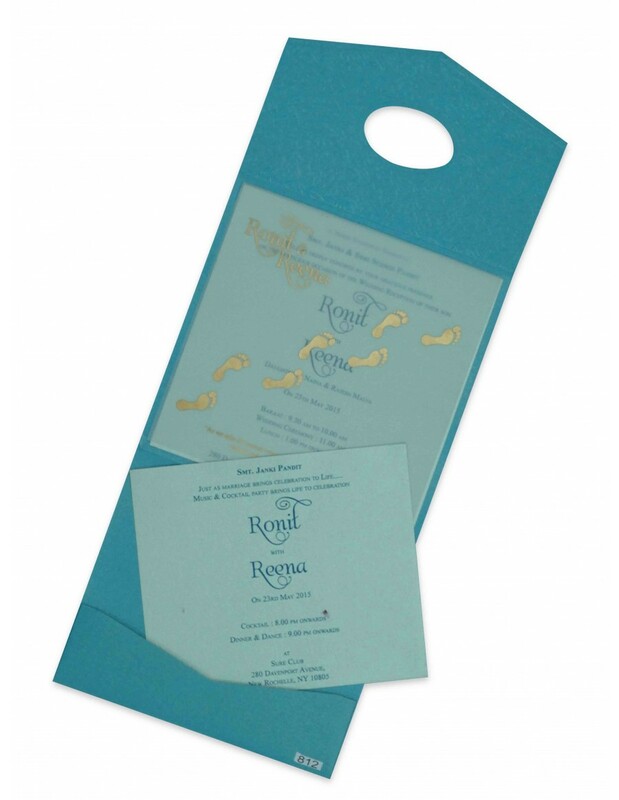 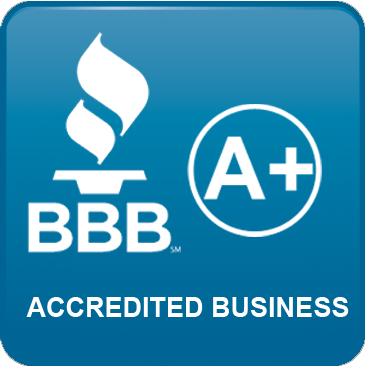 The bottom flap can be printed with text that can be seen through the cut out. 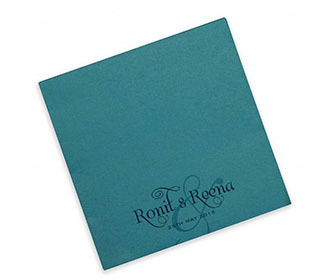 The card comes with an inserts in a shade of lime green, which makes for a beautiful contrast. 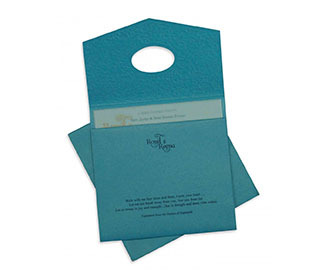 One cut is stuck to the card and the other can be pulled out. 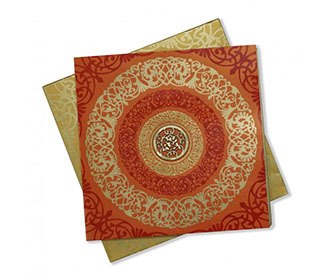 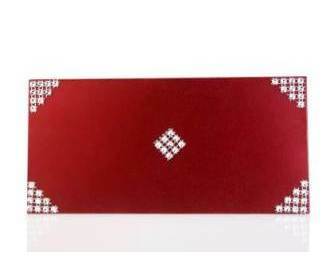 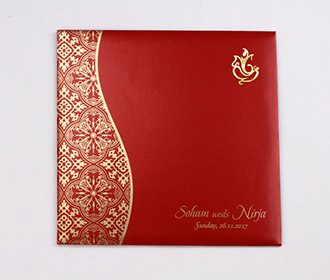 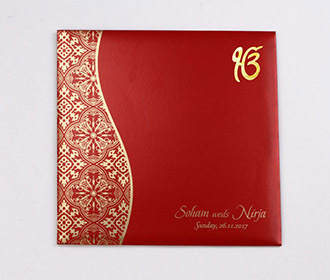 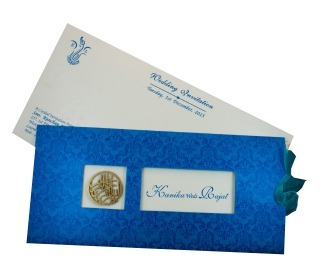 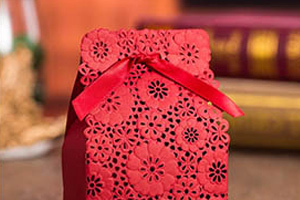 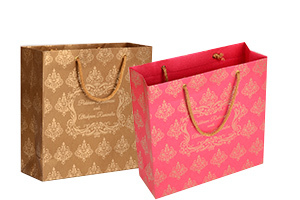 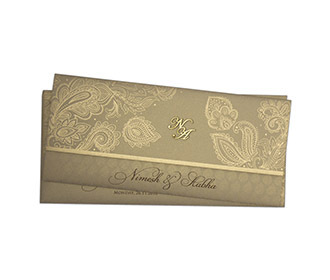 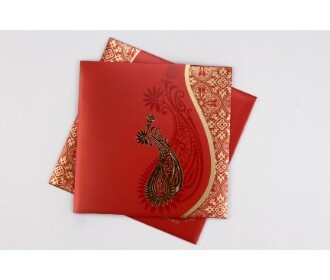 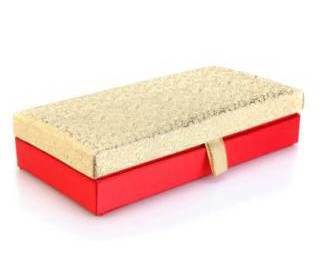 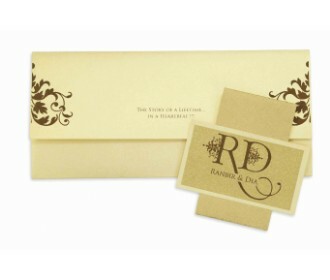 There is a butter paper covering as well which can be printed with a personalized message upon request.